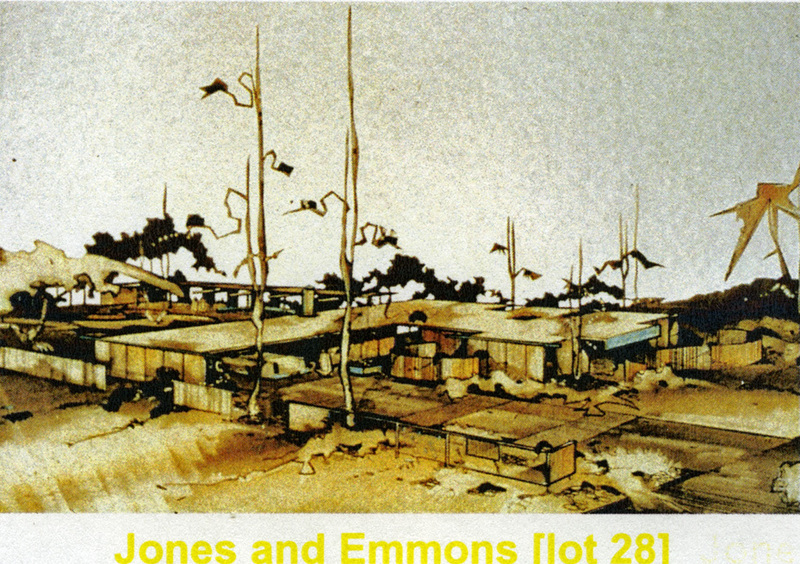 This flat-roof design by Jones & Emmons would be suitable for the Southwest. The carport is set back from the street, and a series of curved fences provide privacy for the living area. This home would have been built on Lot 28. Title by Cataloger. Jones & Emmons, of Los Angeles, were were one of the architectural firms that who for the Homestyle Center, a concept of Jason L. Honigman, planned for Grand Rapids in the 1950s.